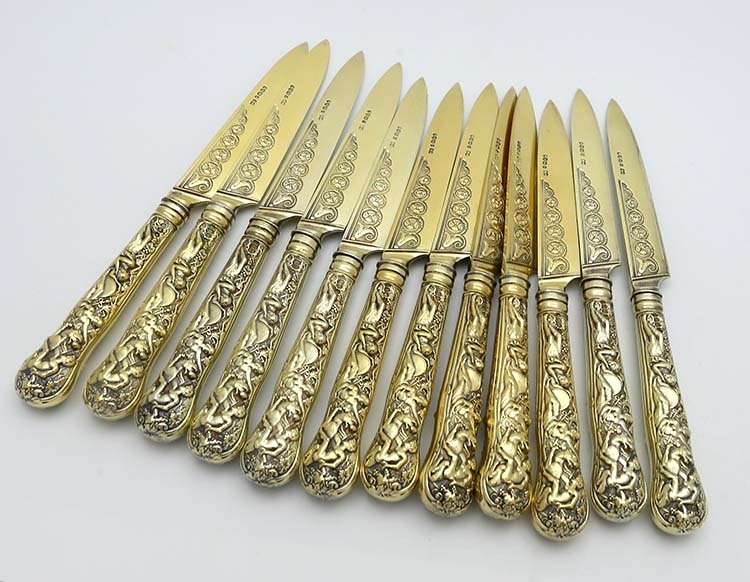 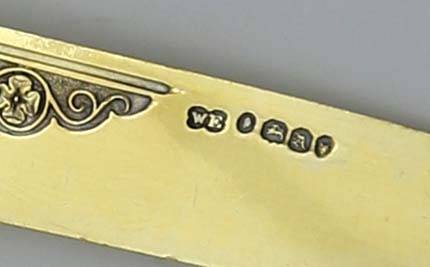 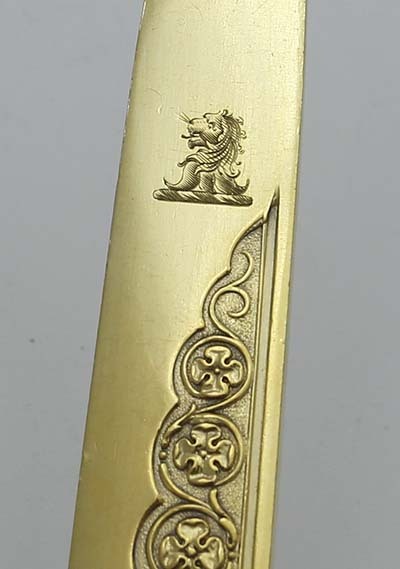 Twelve antique sterling silver gilt pointed fruit knives engraved with crests on the blades. 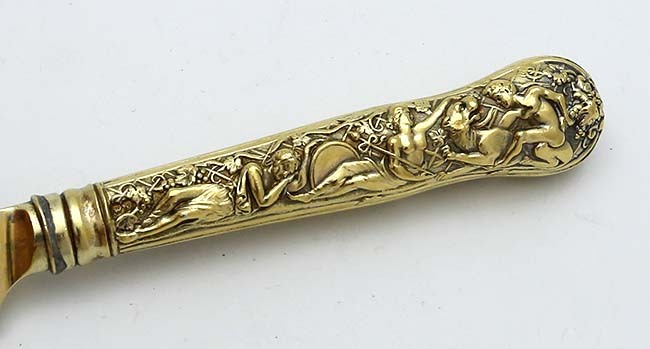 Bacchanalian pattern. 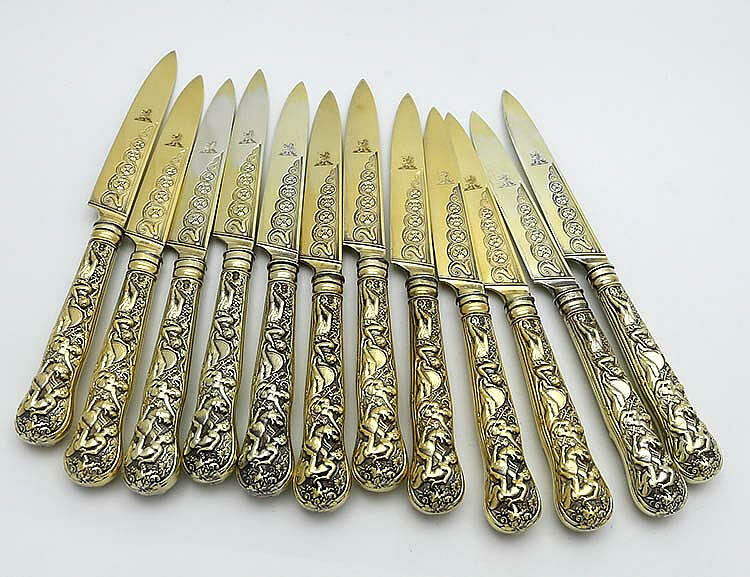 Ornate hand decorated blades.